New Casa Dog Has A Name! We adopted our new puppy on March 31 when he was just 8 weeks old. Of course he needed a name. 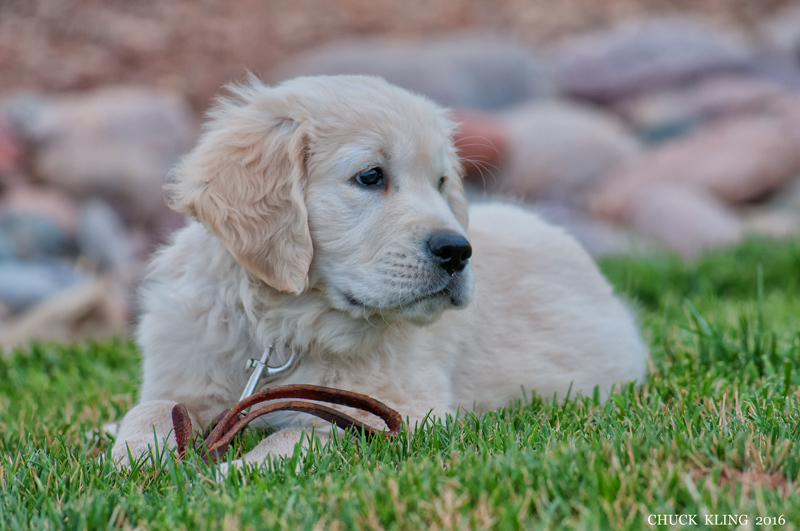 So we asked our guests to submit their recommendations for names that would fit a puppy that has an official job title of Greeter and Host at the Casa. We received over 300 name suggestions from over 200 of our guests. And that meant we had a great list of suggested names to sort through and slowly narrow the list down to just one name. And the guest who submitted the selected name first (date and time of their email or text) also would win a free night's lodging at the Casa. The winning name is Woody. Sometimes he is so excited to greet guests (remember his official title..) that he wiggles and wiggles. This has led to a nickname extension to Woody Wigglesworth! But formally, and on his AKC registration his official name is Woody de San Pedro. Actually two different guests suggested the name Woody. 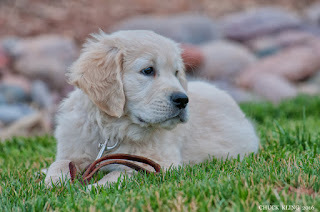 Wendy W. was the first guest to submit the name Woody for our new puppy. It fits him well. And for her suggestion, Wendy won the free night's lodging. Thanks Wendy! And Harriet W. was the 2nd person to suggest the name Woody. And while we had not published any second place awards for successful name suggestions, we decided to award Harriet 25 extra points in our TapMango frequent stay program. She will get to add that to her total points and be able to redeem them for valuable gift shop or lodging stays. Thanks Harriet! Woody is growing like a weed! This little puppy of just 4 weeks ago is now stretching out and getting bigger. He absolutely LOVES guests and wants to greet them all. We are beginning to suspect that this white dog with the black nose and dark eyes (that give him the look of a baby polar bear) is becoming one of the most photographed pups ever. He is indeed soft, fluffy, and cute as a button with a good spirit and friendly nature. Here is a pix of Woody by Chuck Kling. Thanks Chuck!